I bought R2D2 about 10 years ago. 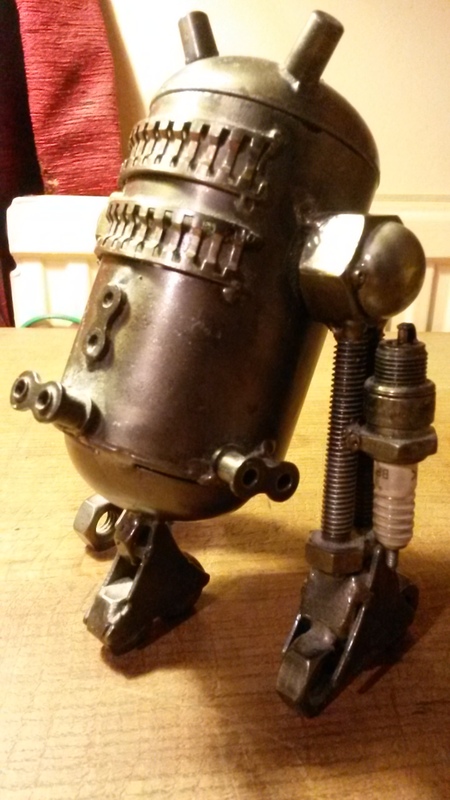 He’s made of old car parts. I’m thinking of taking him to see The Force Awakens. I bought him (it) in the mall from a bloke who made all sorts of sculptures from Alien to Predator, all bits of scap metal. 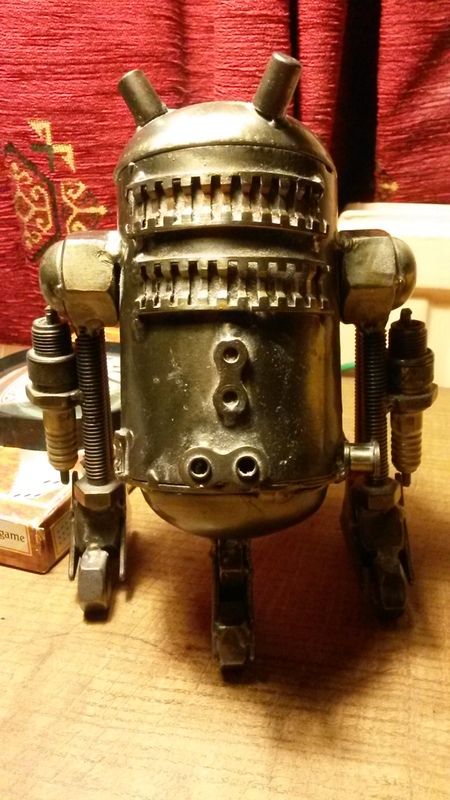 I’m not sure what his body is made from but there’s bits of chain drive, nuts & bolts, etc. His head unscrews and you can keep stuff inside.